Dricetor of Literaturhouse Zurich, Switzerland. Born 1961 in Switzerland and grown up in Germany, Beatrice Stoll attended after school the actors school in Munic and played on several theaters in Germany until her late twenties. Then she decided to pick up University studies and got her diploma in German language some years later. From `95 to `99 she was press attaché and dramaturg at Theatre Neumarkt in Zurich and since the year 2000 she works in the Literaturehouse of Zurich, first as vice-director, from 2002 on as director. She is responsable for the program and all projects and in charge of all executive duties. 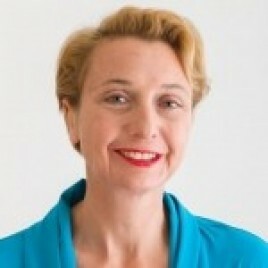 Furthermore she is president of the Ludwig Hohl Foundation, in the executive borad of Literaturhaus.net (a network of German literaturhouses) and member of several cultural foundations. She took part in meeting about literature on Wednesday, 24th October 2012.